The most difficult aspect of this recipe is segmenting the oranges. Segmenting oranges takes time and patience. Start by topping and tailing the oranges and then carefully following the shape of the fruit to remove the rest of the peel. Now carefully remove the segments, using a small paring knife. Wow, you have been super busy with my recipes, thank you so much! 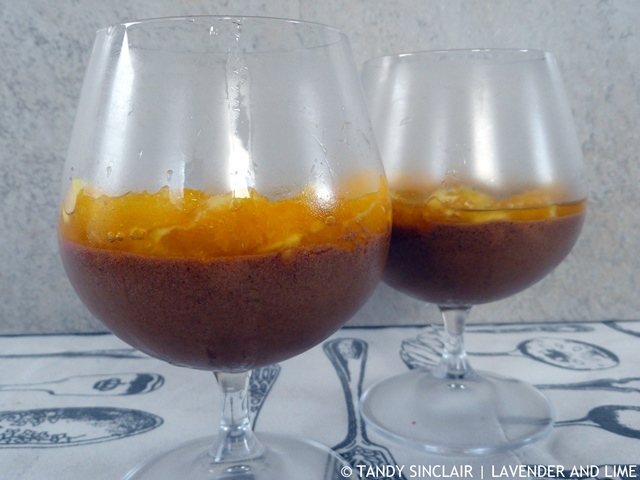 Orange and chocolate, such a perfect pairing. Too bad you cannot give lessons to sales assistants for pairing and listening! Ha ha, love that – pairing and listening! Love the look of these and they sound delicious too. Orange and chocolate go so well together. This orange syrup looks and sounds delicious. I’m sure it’ll taste delicious with pretty much any cake or ice-cream. A lovely recipe, Tandy. Annoying when people don’t listen. This recipe looks like a perfect idea for a Saturday party at home. So easy and must be so yummy at the same time. I need to try it soon. I’ve never tried making my own syrup before, but you’ve definitely got me thinking about it today Tandy. Love this. Love this easy peasy and delicious recipe. Mmmmm – love oranges in syrup and it’s not you Tandy there seem to be whole lot of people who can’t say we don’t have that or I don’t know! I love your stories Tandy! They’re so intriguing. But I do think listening is a lost art. No one really listens anymore. Anyhow, this syrup looks delightful, poured over chocolate ice cream, but I can think of so many other types of I.C. to use it on as well. So yummy. yum! never had anything like this before! Looks fantastic! I love orange and chocolate together. So delicious. I just went to the wine and dine HK event this weekend and found this most amazing tangerine marmalade jam from a small producer in Sicily. Love this stuff so I know I would love your easy orange segments in syrup. Oh, that marmalade sounds divine! only for a picnic ….